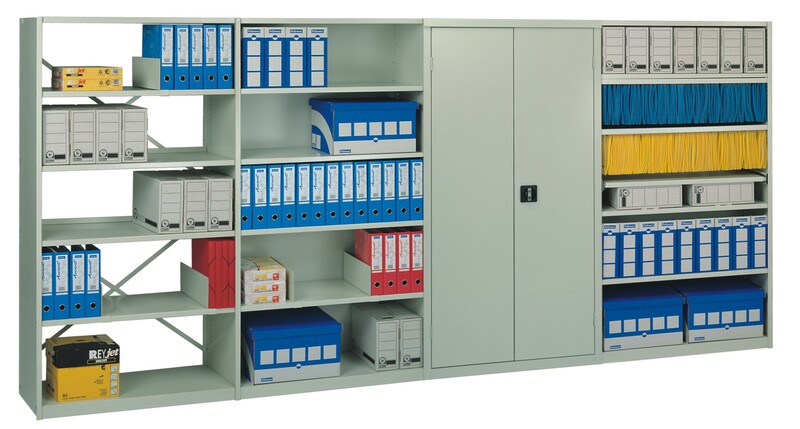 7 Types of Shelving Storage Systems to Grace Your Office Premises! An office is a place where you will encounter a lot of things starting from files to folders to stapler pins to personal belongings of all the staff members. This has initiated the significance of a proper storage system in the premises. We have the storage lockers, storage shelves, storage cabinets and the list varies as per the needs and requirements, to store these belongings in the office premises. Today, let us discuss the different shelving storage systems and its variety that is ruling the market. A shelf is a horizontal plane that accommodates all the belongings that need to be stored efficiently. In UK Metal Shelving, plastic shelving and wooden shelving have gained popularity due to their convenience and durability factors. These are the variety that you witness in the material used, but there is more to the shelving storage. Let us have a look at the different types of Shelving Systems that could be used in the office premises to store all the essentials in a systematic order. A built-in shelving system can be encouraged in those office premises where the designing of the premise is such that it can easily accommodate a space for the shelving. They can be easily fitted in ever nook and corner, saving space. It is one of the most convenient shelving systems that makes the optimum use of office space. You can either affix the shelves before and then fit into the space or directly fill the space by arranging the shelves. It is one of the most flexible shelving systems that can be used in an office premise. Fixed brackets are the most modest forms of shelves that are simple to install as well as use. Individual brackets are installed on the walls with shelving laid across the brackets. The size of the shelving can be adjusted as per the need and convenience of the staff members. You can witness variety and convenience in this type of shelving. The fixed bracket shelving generally comes in metal and wood, where the shelf pins constitute of metal or plastic material. Also known as suspension shelving, the fixed bracket shelving could be used to grace the office premises emoting modesty and simplicity. As the name suggests an adjustable shelving system can be adjusted vertically according to the needs and requirements. You can adjust the heights of each level that the shelve exhibits. With vertical rails and brackets, it provides the convenience to adjust the height of each cabinet. There are per-installed holes on the rails which make it easy to adjust the space. Another important shelving system that allows flexibility in the storage spaces of an office environment. Floating shelves are yet another important option when it comes to providing a proper storage system in the office premises. As the shelves are not bound by any visible pins or nails, it looks as though it is floating on the wall. You can witness variety in color, shape, size and design bringing in vibrancy to the storage shelving system. They are also known as torsion box shelves. Supported by internal brackets, these shelves do not need the support of rails, pins or nails. It gives a clean and sophisticated look to the surrounding. Corner Shelving easily fits in the corners of the office premises. Available in wood and plastic, the corner shelving easily creeps in all the nooks and corner of the office premises, making sure that no space is left out nor left unattended when it comes to creating a good storage space. You can either keep it floor-based or wall-hung, as per your convenience. Top hung storage shelving is yet another important storage solution that can be used in the office premises to keep away all the clutter, making space for other useful things. Such type of storage shelving is affixed to the walls from which the shelves and droppers can be hung. These storage options should be judiciously used as it requires a strong wall support and hence sees to it that they are installed on those walls that are durable to withstand the weight of such shelving. A free standing storage shelving is one of the best examples of flexibility as they can be shifted from one place to another without causing much trouble. These storage shelves exhibit diversity in shape, size, color and design. Above-mentioned are the most common shelving storage systems that the market has on display. It all depends on how and what you want to display on the shelves. Talking about diversity, in many parts of the world including UK metal shelving, plastic shelving, etc are the prominent choices that you will come across in shelving storage domain. List out your requirements and accordingly choose the best and most convenient storage shelves for your office premises. This entry was posted on Monday, July 3rd, 2017 at 9:48 am	and is filed under Shelving. You can follow any comments to this entry through the RSS 2.0 feed. You can leave a comment, or trackback from your own site.